1) What is the Holy Spirit doing in and around your church? How do you know? 2) What would help you invite someone new to your congregation? 3) When was a time you were thankful to be part of your congregation? Share and enjoy! If you would like to borrow these cards, just let me know. What a great book! Easy to read, yet amazingly powerful and right on! who challenged her to write this book! She exposed a God that loves a bit too much for that original publisher, whom she never names. To her credit, Jacqueline Bussie did not give in, she did not censor and cut her book as requested, and God made a way for this book to be published by no less than Fortress Press! The story of the birth of this book is witness to the grace and love of God. Reading the book will warm your heart, show you areas where more love is needed both in and out of your heart. 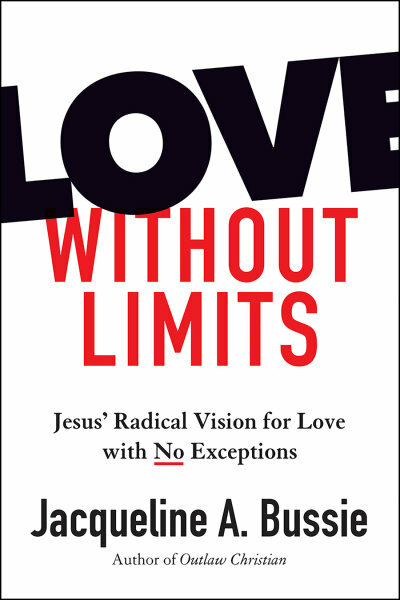 "In Love Without Limits, Bussie imparts practical solutions for people who yearn to love across differences.... The reader is challenged to answer God's call to practice a love so vast that is excludes no one." Click here to order a copy or for more information. Or, send me an email and borrow our copy, spselca@pacbell.net. Another great book! Easy to read, yet powerful! 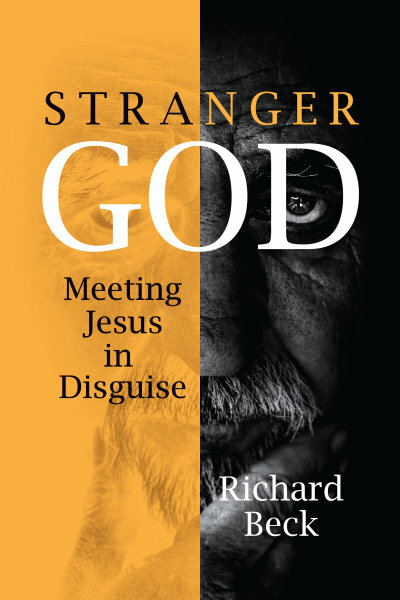 With Beck's signature combination of Biblical reflection, theological reasoning, and psychological insight, he shows how God always meets us in the marginalized, the oppressed, and the refugee.... Although we are predisposed to like those who are similar to us and to avoid those who are unlike us, the call of the Gospel is to override those impulses with compassion, to widen the circle of our affection." Click here to order a copy, or send me an email to borrow our copy: spselca@pacbell.net. 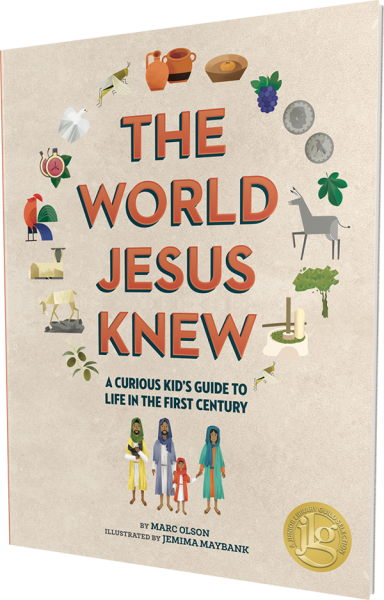 "The World Jesus Knew: A Curious Kid's Guide to Life in the First Century," by Mark Olson, illustrated by Jemima Maybank. This book helps kids (and curious adults) discover the world Jesus lived in through maps, charts, graphs, and other infographic elements. It's an invitation to explore the stories of Jesus in their cultural context, bringing new life to familiar biblical events. This beautifully illustrated book will be a family favorite that kids and adults will come back to over and over again. Click here to order a copy. Please email Janet if you are interested in borrowing any of these resources, all new to your Synod Resource Center. And a word from Traveling Luther..... "Prayer is very precious medicine, one that helps and never fails." Martin Luther would love to come and visit your congregation sometime this ye ar! Please email Janet and make your request for your Traveling Luther before we run out! Order copies of Traveling Martin Luther for yourself or your congregation. Once we run out, we will not reorder these. 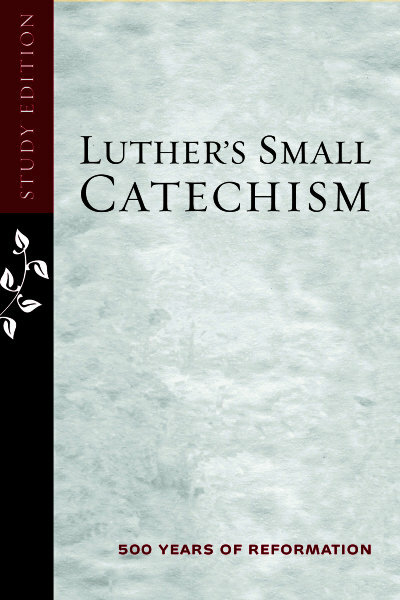 Luther's Small Catechism pamphlets are available for you. We purchase these for you and your congregations. To date we have sent out over 3,300 Small Catechism pamphlets to our Synod congregations! Join the excitement, as our Presiding Bishop, Elizabeth Eaton, suggested by "dusting off the catechism and taking another look at the basics of our faith." And, if you want to go beyond our free offering, Augsburg Fortress now offers Luther's Small Catechism, Study Edition and an enlarged print edition. A translation of Luther's explanation along with other study helps such as prayers, worship rites and Luther's introduction. This edition uses the NRSV and the Evangelical Lutheran Worship texts for the wording of the Ten Commandments, Apostles' Creed, Lord's Prayer, and the included worship rItes. This anniversary study edition includes a letter from Presiding Bishop Elizabeth Eaton, a revised introduction by Timothy Wengert and features new illustrations by artist Gertrud Mueller Nelson. Please click and order it right here from Augsburg Fortress. 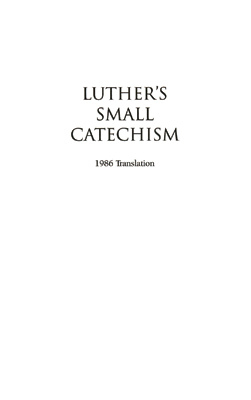 You can download the FREE "Luther's Small Catechism" App on your iphone and android devices. It comes in BOTH English and Spanish! Get this on your smart phone! We appreciate your calls and e-mails about resources! The Resource Center is your lending library! You are helping us to do a better job when you recommend the specific resources you are looking for. Keep telling us what you want, at rspselca@pacbell.net This is how we know what to purchase. The Synod Resour ce Center of the Sierra Pacific Synod is eligible to receive your Choice Dollars from Thrivent Financial. We are sincerely grateful to Thrivent Financial and those individuals who designate their Choice Dollars to us for the support of the Synod Resource Center. THANK YOU! For more information email Janet or contact your Thrivent Representative. please visit us at: www.resourcecenterspselca.org. Click "Resources" and then click "Request Manager for the SPS Resource Center." You will then be on our online catalog page! Let me know if you have any questions or problems. Blessings! I am happy to serve you.